Are you a new hire? Time Sensitive! Enroll for benefits within 31 days of hire. Have you registered for Telehealth? Set up your account now, so getting care is faster and easier when you need it. CMC wants you to be your best! Don’t delay. Schedule your annual physical today. Learn about your benefits, plan which options are right for you and take action. Watch a quick overview of your CMC benefits. Time Sensitive! Enroll by the deadline. 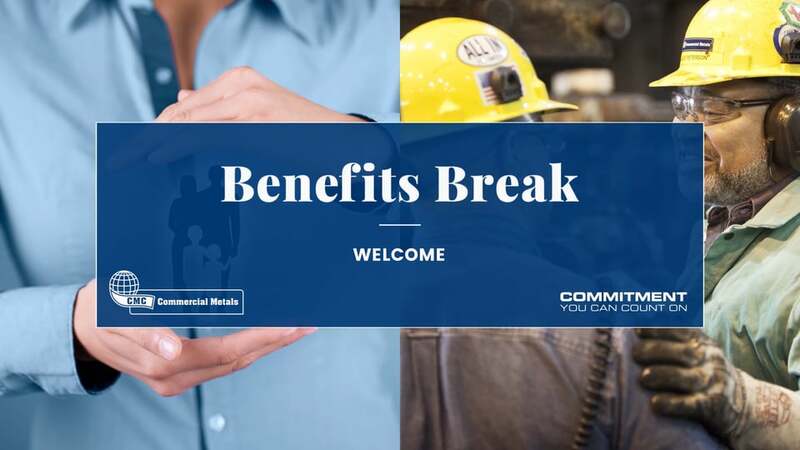 Each Benefits Break provides you with important information about using and making the most of your benefits. Check back often for new tips, and check out current and past videos too!